If it says raspberry, it tastes like raspberry – and is made of the real thing itself. 3 Friends has created the most deliciously over-the-top ice cream recipes out there. How can you make just one spoonful of ice cream include various different flavours? Easy peasy, if you ask 3 Friends co-founder Heikki Huotari. Let’s take their raspberry and white chocolate ice cream as an example. Ice ice baby. Finns consume the most ice cream per capita in Europe. 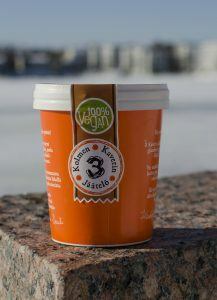 Flavours have been the driving force of 3 Friends, known in Finnish as 3 Kaveria, from the word go. The company was founded by Huotari and his two friends (see where the name came from, huh?) Ilkka Wikholm and Sauli Saarnisto to create ice creams that they themselves want to eat. When Huotari says ‘without cutting corners’, he means it. Last autumn, 3 Friends had already publicly announced the launch of two new flavours. As the date drew nearer, the trio backed out: they weren’t 100 per cent happy with the products yet. 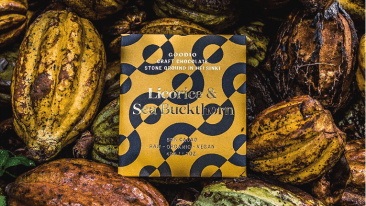 The first three flavours, which were blueberry-cardamom, strawberry-vanilla and the aforementioned raspberry-white chocolate, hit the shelves in Finland five years ago. They instantly became a big hit, and the founders had suggestions for new combinations flying in from everywhere. One request was particularly prevalent: 3 Friends were constantly asked to make vegan ice cream. Most importantly, not just any vegan ice cream, but the most over-the-top kind in existence. The trio were friends before they started making ice cream together. 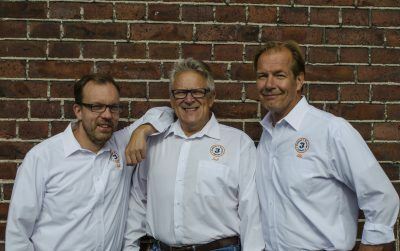 Left to right: Heikki Huotari, Ilkka Wikholm and Sauli Saarnisto. Now, the award-winning vegan chocolate-nut-caramel ice cream is the company’s best-selling product. It sounds a little counter-intuitive that Finns consume the most ice cream per capita in Europe. 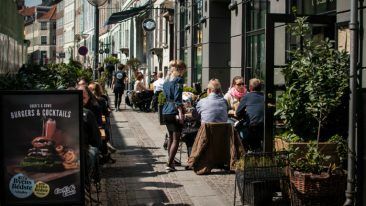 With the long and chilly winters, one would think that the southern Europeans indulge in the frozen dessert much more than the Nordics. Huotari guesses that the explanation lies, at least partially, in housing. This doesn’t mean that all 3 Friends products are eaten in Finland. 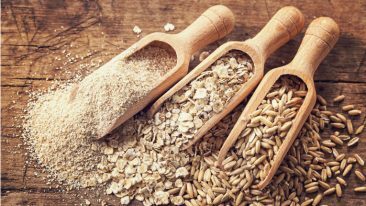 Some time ago, the company was contacted by a Swede who had tasted the products on a visit to Finland and asked if the friends were keen to test the Swedish market. 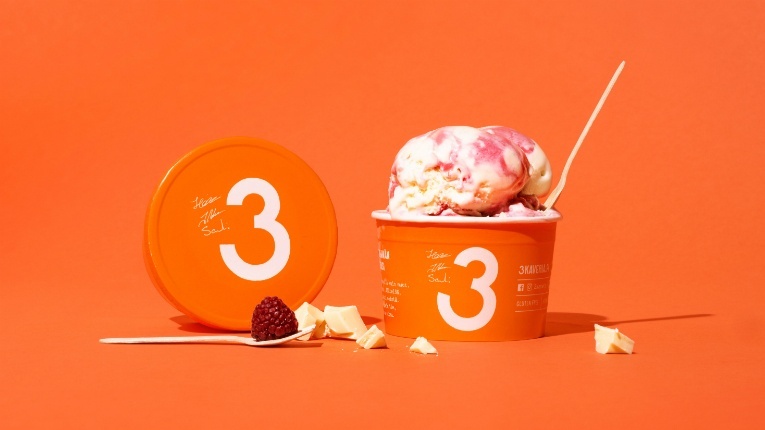 Now, the ice creams are for sale in more than 100 stores in Sweden under the name 3 Vänner, and the products are available in Germany as well. 3 Friends has grown from a trio to a team of about 20 people, but the principles stay the same as they were when the trio first bought a 299-euro home ice cream maker: corners are still uncut. Even Huotari’s favourite flavour remains unchanged. Those thinking that vegan ice cream has to be boring will be proven wrong by the range of 3 Friends vegan products.